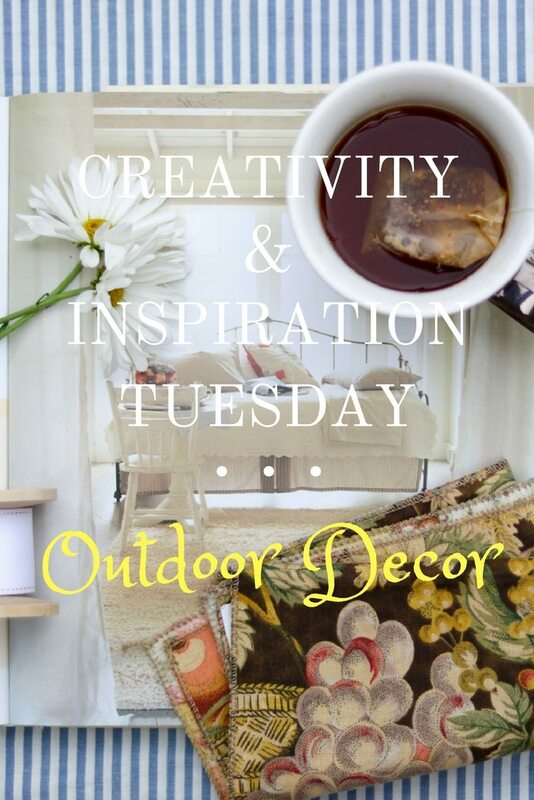 This creativity & inspiration Tuesday is filled with wonderful and easy outdoor decor projects for any skill level. Whether you love bird feeders or have a need for a bench, you have come to the right place. As the weather gets cooler it’s the perfect time to start entertaining outdoors again. Which means it’s time to start thinking about your outdoor decor. So, welcome back to Creativity & Inspiration Tuesday round up! If you are new, this is a great place to get home improvement and decorating related ideas. This week is all about the outdoors and some fun projects for just about anyone. 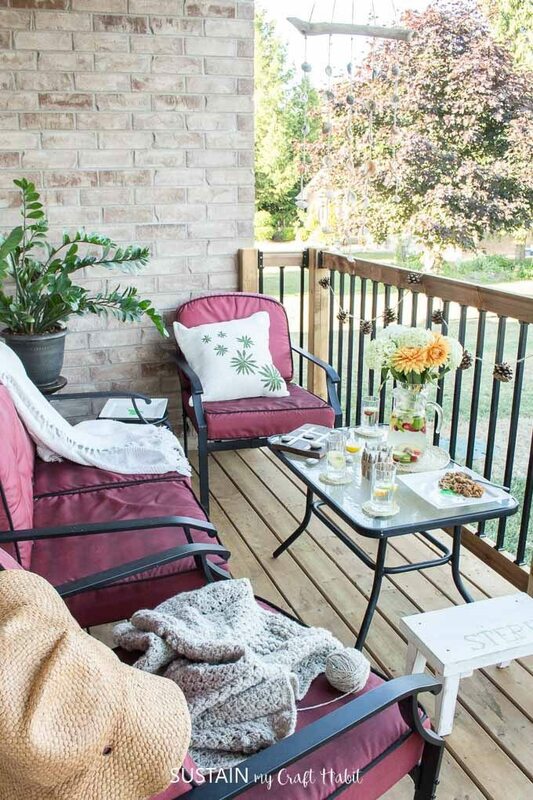 So check out these talented bloggers and their beautiful outdoor decor projects. 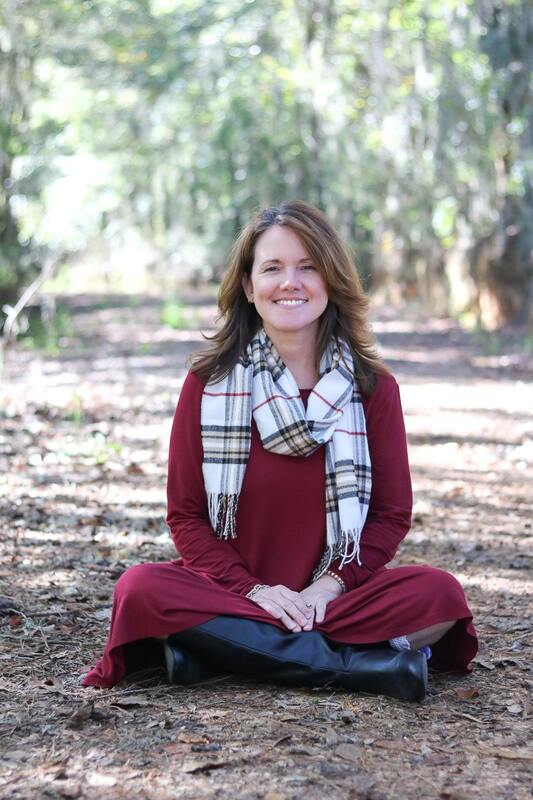 I hope this post inspires and fuels you to start your own design. Look at this beautiful patio! I love all the little DIY details, like the citrus votive candle, the DIY stone tic-tac-toe game, and the seashell wind chime. This DIY outdoor beverage station in a galvanized metal tub is whimsical and will make your guests feel at home! And it’s super simple to put together. Your avian guests will feel at home too, with this easy DIY bird feeder. Add a touch of whimsy to your garden! Must Have Mom does it again! 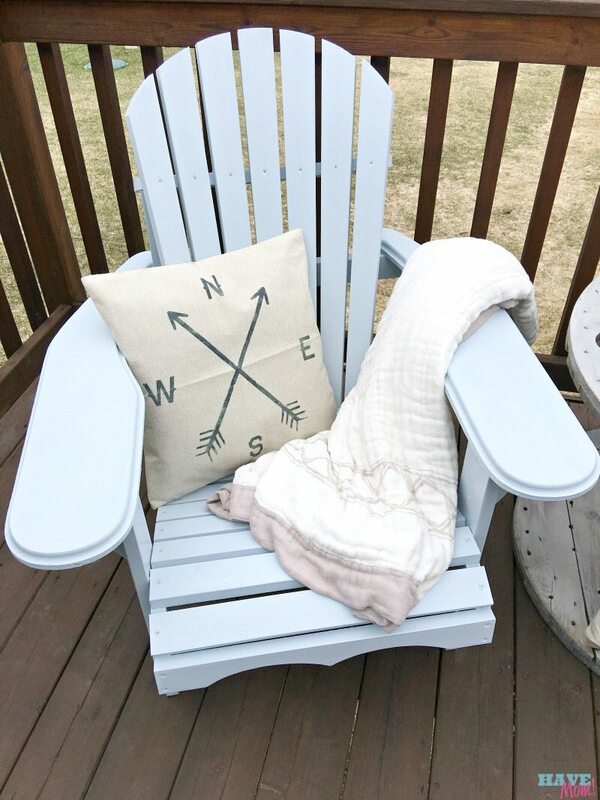 She built these Adirondack chairs from a kit from Wayfair, and finished them off with a high-gloss paint. Don’t they look gorgeous on the deck? 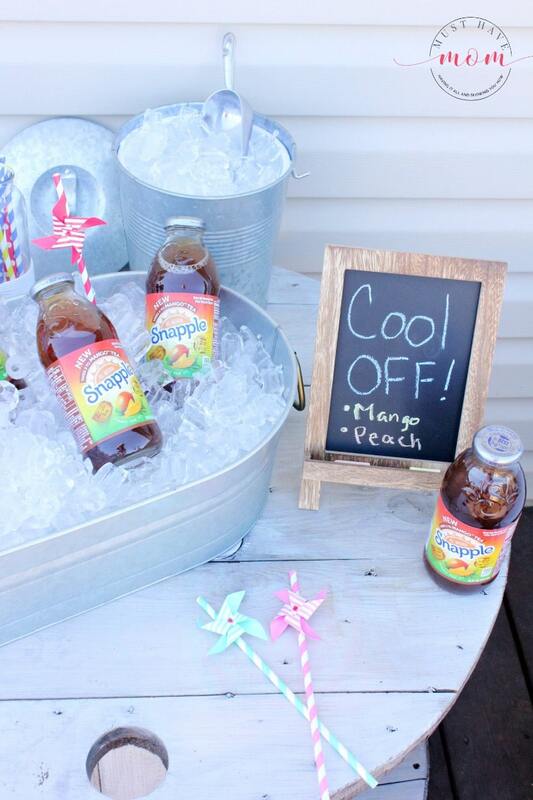 Want to throw a backyard party to end the summer on a high note? These rustic decor ideas will ensure that it’ll be gorgeous and unforgettable. Now that you are filled to the brim with ideas it’s time to start thinking about your outdoor decor. We happen to be working on a firepit design which is why we decided it was a good time to start thinking outdoors. So, start thinking of your design and shop for all the pieces. Before you know it the temperature will drop and your outdoor oasis will be complete and ready for some good old fashion fun! What’s your favorite spot outside to connect with nature? 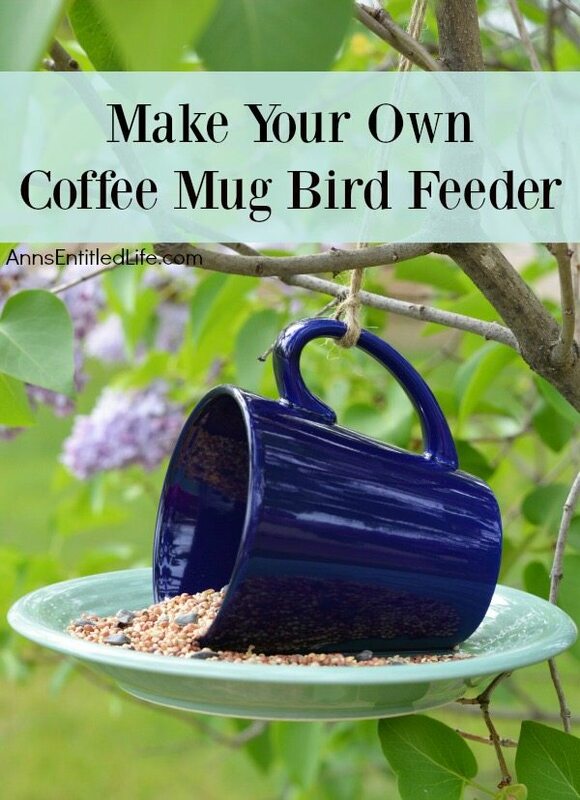 The VintageStyleLiving.com just ran across your blog and saw that coffee cup bird feeder and had to comment. What a charming and unique item! That’s something we would see in our outdoor living area. Thanks for sharing! I am so glad you are enjoying a piece from this roundup. I also loved the bird feeder. It is so charming!